Like Merchant Ships: Dividing Daylilies = Free Plants! Dividing Daylilies = Free Plants! I keep a flower patch near the mailbox as my way of smiling at the neighbors! This month's Southern Living said it's not too late to divide this overgrown patch of daylilies. I'm also looking for some mondo grass to divide and cover the area beneath my magnolia tree. 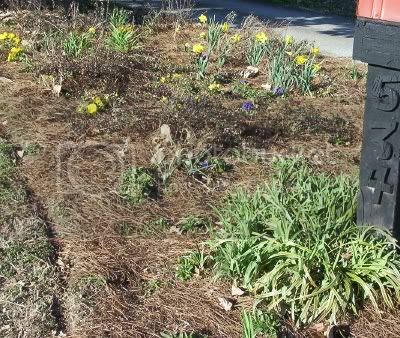 Most groundcovers are easily divided and spread quickly. Before heading to the nursery, why not see if you can salvage some plants from a neighbor who's thinning out or a home that's being demolished?